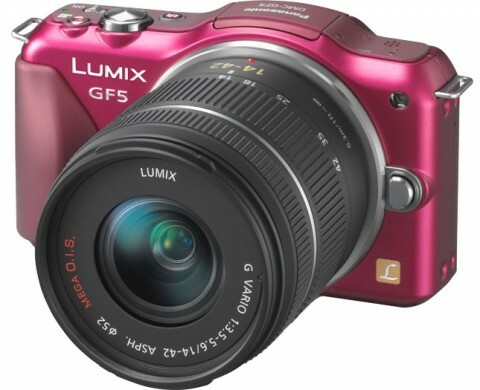 The new Panasonic Lumix DMC-GF5 is a small and stylish compact digital camera and it is the latest G series camera from Panasonic. This new digital camera with interchangeable lens system comes with a new 12.1-megapixel Live MOS sensor and and redesigned Venus Engine, helping to ensure true-to-life images through exceptional resolution, color reproduction and image rendering. 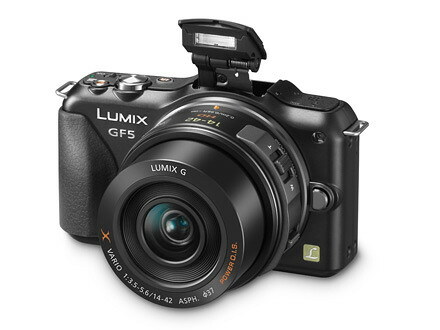 Several interchangeable lens are offered for this new Panasonic Lumix DMC-GF5. 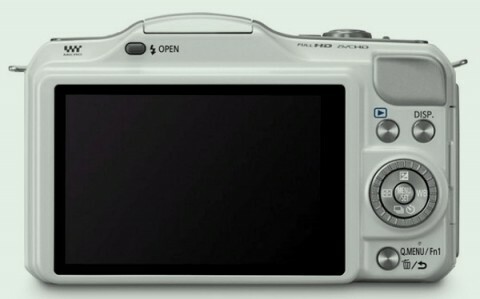 This new digital camera presents 14 filter options for users, including One Point Color, Dynamic Monochrome, Soft Focus and Star Filter. The new Panasonic Lumix DMC-GF5 also offers built-in pop-up flash, 3-inch touch-sensitive LCD screen with 920k dots, full HD movies at 1920 x 1080 at 60i (NTSC) or 50i (PAL) in AVCHD format with Stereo Sound, 4 fps continuous shooting, RAW support and an expanded ISO range of 160 – 12800. This new Panasonic Lumix DMC-GF5 replaces previous GF3 model. 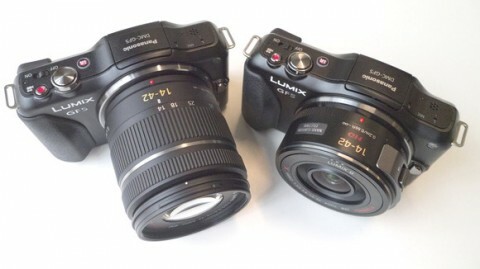 Interchangeable lens: Lumix G Vario 14-42mm/ F3.5 – 5.6 ASPH/ MEGA OIS with 12 elements in 9 groups. 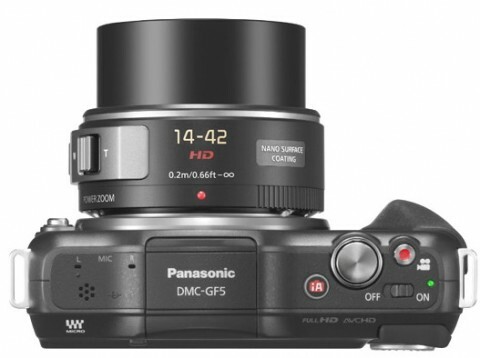 The menu system on the Panasonic Lumix DMC-GF5 is advanced slightly from the Lumix GF3. Instead the changes are aesthetic, but the increased processing power of the camera allows for some improvements, such as the use of sample photos in the menu to illustrate different creative effects. More about this and handling, modes and controls of new Panasonic Lumix DMC-GF5 you can read on digitalcamerainfo.com website. With the new Panasonic Lumix DMC-GF5, Panasonic reaffirms its commitment to a small, consumer-focused compact system camera with limited controls and a touchscreen interface. You can learn more about this and comparisons with other similar cameras if you read Panasonic Lumix DMC-GF5 review on imaging-resource.com website. 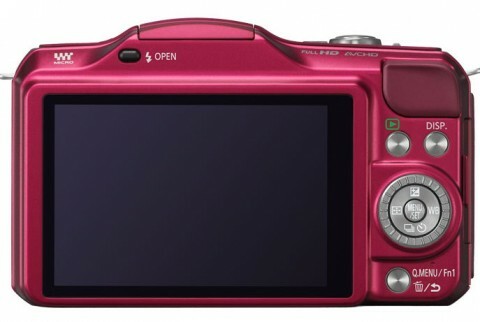 Small and stylish, it’s an easy to use digital camera that’s capable of excellent image quality. Upgrade highlights over the previous model include a new finger grip, a metallic lens mount, a much improved LCD monitor and new additions to the range of on-board digital filters. More about this new Panasonic camera you can find also on Panasonic GF5 review by whatdigitalcamera.com This website says that Panasonic has redesigned the user interface to be more attractive and, in the auto modes, more helpful to novices. 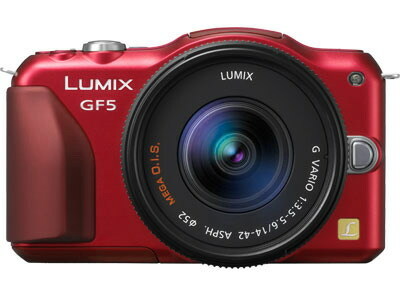 The Panasonic Lumix DMC-GF5 represents a positive step forward for the now consumer-focused GF-series. The GF5 is free to concentrate on wooing compact step-up users, and it does a great job of persuading them to invest in what is undoubtedly a faster, fuller-featured system that ultimately delivers better image quality, in a form factor that won’t intimidate or confuse.